Playing with your cat is a wonderful bonding experience, and has never been so fun. Even if your cat doesn’t play with other toys, they go totally crazy over this durable cat toy. It is sure to please. 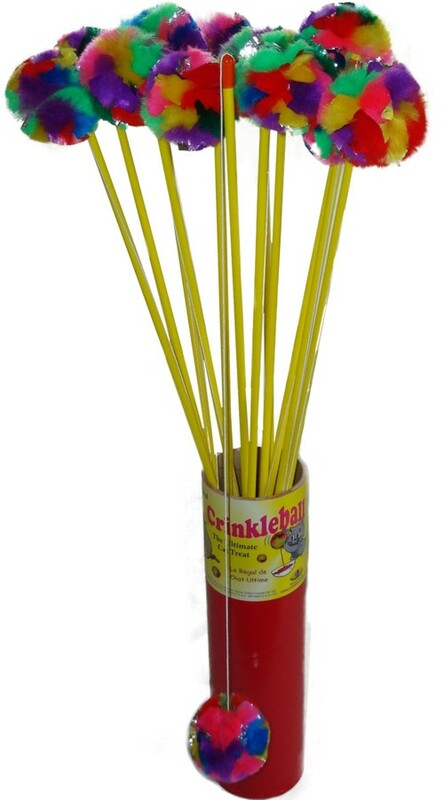 The Original Crinkle Ball is attached to a 24 inch rod with a 24 inch bungee cord, so you can teazzz your cat for hours.